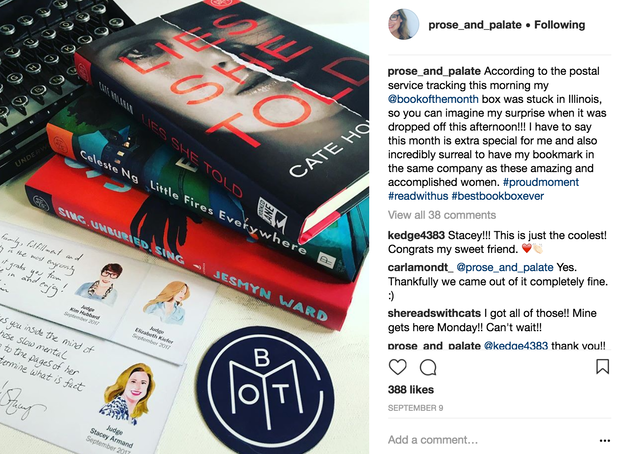 Bookstagrammers are the life blood of the social media book community. Found on Instagram under the hashtag #bookstagrammers, these literature-loving individuals read, review, photograph and spread the word about books that they love (and, sometimes, hate). 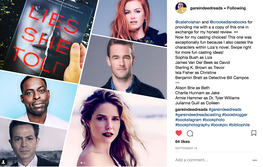 Some wonderful bookstagrammers even supply casting recommendations for films. 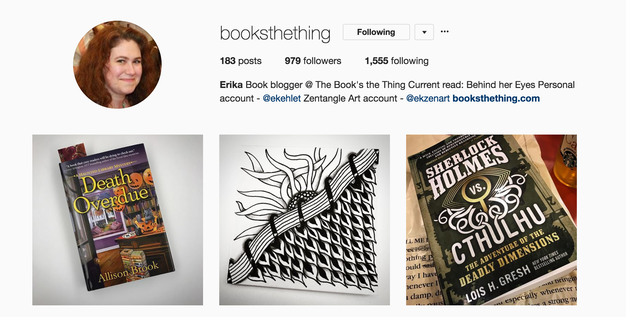 At last count, there were 1.36 million posts by #bookstagrammers on Instagram. Here are some #bookstagrammers any thriller or mystery author should know. BookSugar. Maria has more than fifty thousand followers on Instagram, which means a ton of exposure if you make her must read list. This Canadian book blogger’s tastes range skew literary (Jane Austen, anyone?) but she does include the occasionally mystery, thriller, or suspense novel on her list. Wendy Walker’s Emma In The Night made the list recently. Crime By The Book. 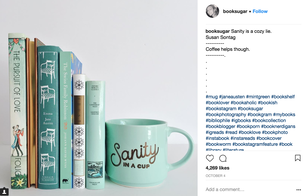 Bookstagrammer Abby started out with a cup of coffee and passion for thrillers, mysteries, and suspense novels. Now she has 47,000 followers (and growing) and a major book marketing career! Though she works for Dutton, the opinions on her blog and Instagram account are her own. Her reviews are insightful, well-explained, and sought-after. She also clearly knows where to get the prettiest cups of joe in the city. SuspenseThrill. 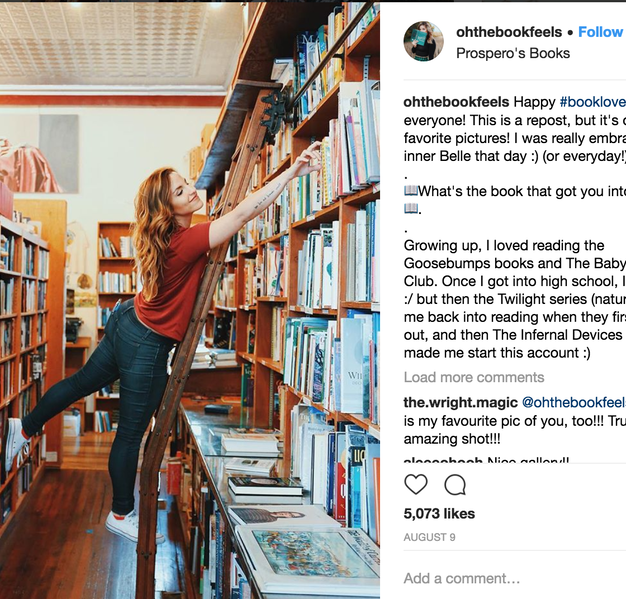 Avid bookstagrammer, blogger and reviewer Chelsea Humphrey had 4,588 Instagram followers as of Nov. 7. She’ll probably have more before this post runs tomorrow. She is a top reviewer on Goodreads and her blog is followed by English-speaking mystery and thriller fans the world over. On top of all of this, she takes some beautiful book cover shots. Texas Girl Reads. Texas Girl, Sarah, sure does read. A book or so a week, by my count. She also takes visually arresting images of the suspense novels and mysteries that she loves and shares her heartfelt reviews on Instagram. Sometimes, she’ll share her kids’ favorite picks too. She shares detailed reviews on Instagram, where she has 1,044 followers, and on her blog. GareIndeedReads. 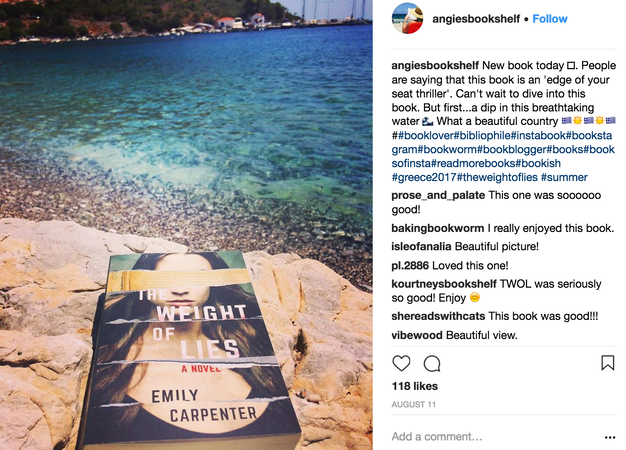 Gare is a dedicated bookstagrammer that not only reads a new book seemingly every few days, but also provides in depth reviews on Instagram and on his slick, professional blog. On top of this, he also casts many of the books he reads, sharing his vote for the Hollywood stars he could picture playing parts of different characters. The photographs of the books that he takes along with his reviews, and the images of the celebrities that he sees starring in the one-day-film version make for some visually arresting book evangelizing. He has over 750 followers. (I also had the pleasure of meeting him at a recent book event and he’s a very thoughtful reader and all-around friendly person). 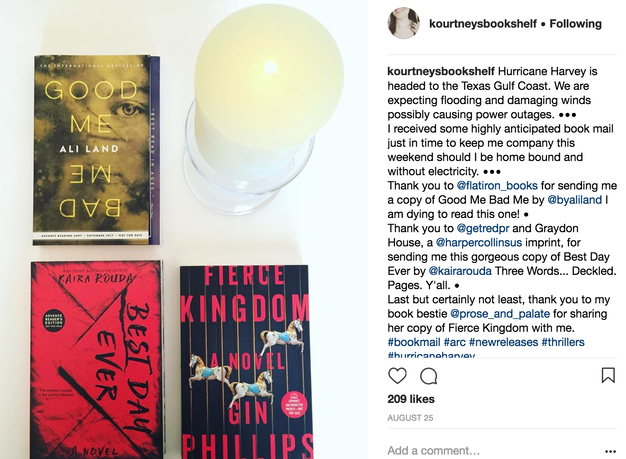 Kourtney’s Bookshelf. Kourtney is a dedicated mystery, thriller and suspense reader. Her Instagram and blog often feature new releases in the genre. When she likes a book, this Texas girl will not only photograph it and share with her 1,676 followers, but she’ll often include favorite quotes from the novel. Oh The Book Feels. You can truly feel the book love from this #bookstagrammer. More than 66,500 people follow this Kansas City reader’s Instagram account–and it’s not difficult to see why. Carmen’s photos are composed like works of art, which isn’t surprising given her book library. She also has a cat that occasionally graces her posts, and knows how to pose perfectly on a book shelf ladder. Angie’s Bookshelf is another thriller and suspense #bookstagrammer to follow. According to her brief bio, this avid reader of thrills and chills loves wine, coffee, music and books, which you know means she’s part of the thriller tribe. 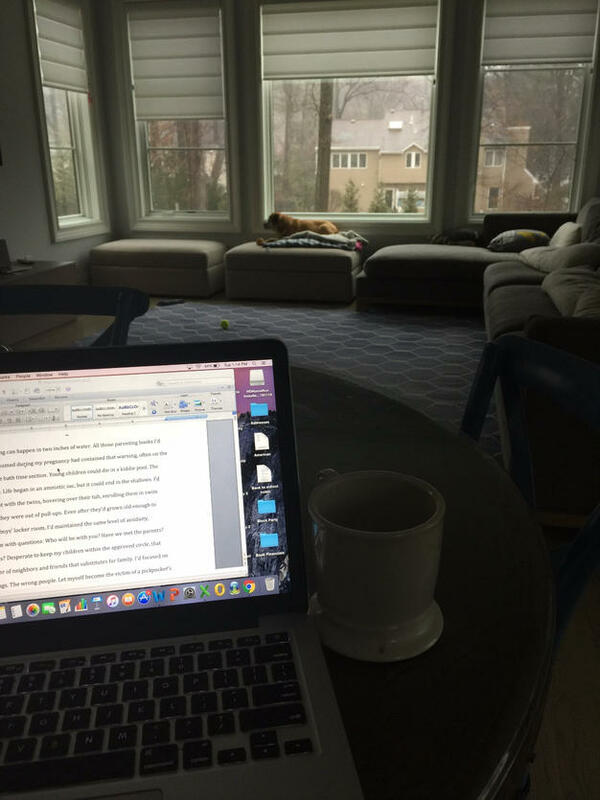 (Thriller writing and garage bands go together. Check out any conference for verification). Angie has 579 followers and a taste for travel, as evidenced by this beautiful book shot. Who wouldn’t want to read whatever novel she put against that beach? Prose and Palate. The alliteration in the name alone should tell you this #bookstagrammer appreciates thoughtful writing, and it shows in her Instagram posts. Stacy has more than 4,680 followers and a penchant for thrillers, historical fiction and Southern fiction. She takes beautiful photos and has a vintage typewriter that often peaks from behind the pages. She also is a regular Book of The Month Club judge and has the collection of coolest coffee mugs around. Check out her Instagram to see what I mean. Books The Thing. 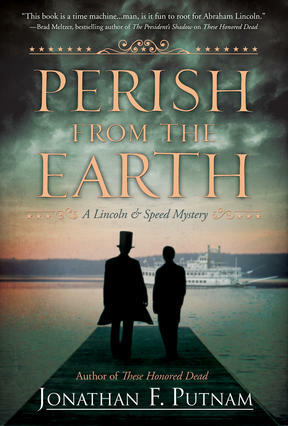 Erika has nearly 1,000 followers (979 and growing as of this writing) and loves a good mystery. 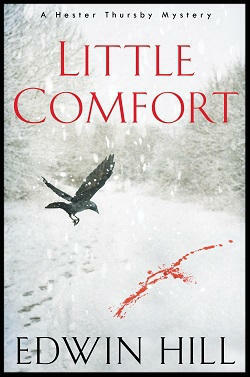 She reads all types: cozies, psychological thrillers, Agatha Christie-inspired, Sherlock Holmes’ updates. She also loves a good female sleuth, as evidenced by this post on her blog.